Item # 315970 Stash Points: 5,495 (?) This is the number of points you get in The Zumiez Stash for purchasing this item. Stash points are redeemable for exclusive rewards only available to Zumiez Stash members. To redeem your points check out the rewards catalog on thestash.zumiez.com. 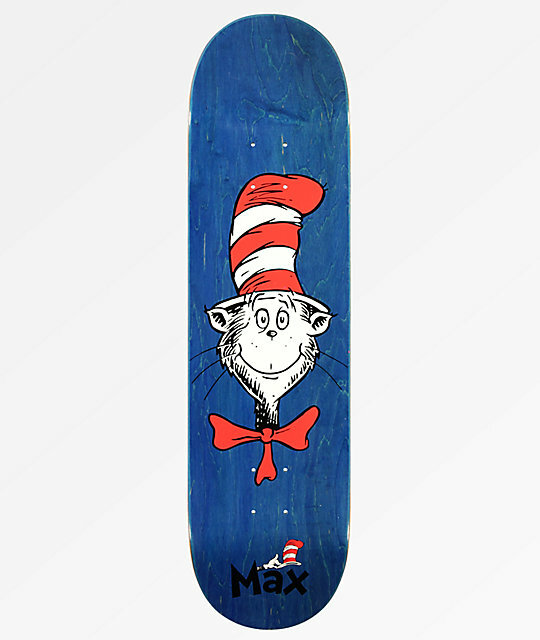 For one board to ride from big features to small, the Almost x Dr. Seuss Max R7 8.25" Skateboard Deck is primed to ride them all. With mellow concave for stable feel under foot, you won't have to worry about the placement you put. Wide kick tails stay stable from vert stalls to big slides, so next time you'll say "ya, I'll give that a try." 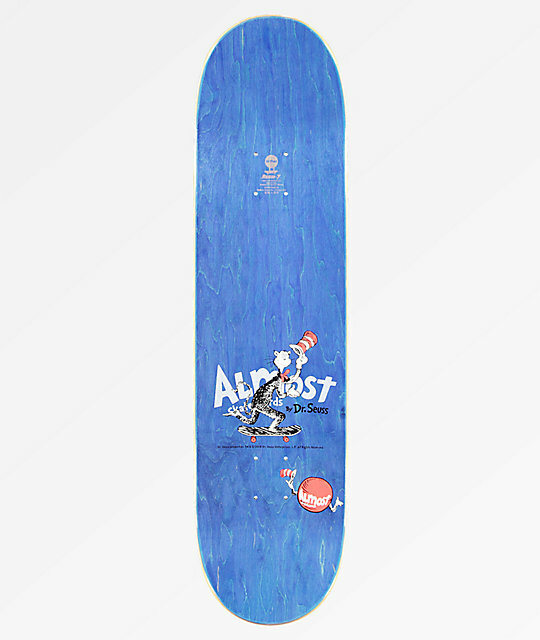 Max R7 8.25" Skateboard Deck from Almost x Dr Seuss. Signature Max Geronzi pro model. Mellow pitched, wide kick tails.